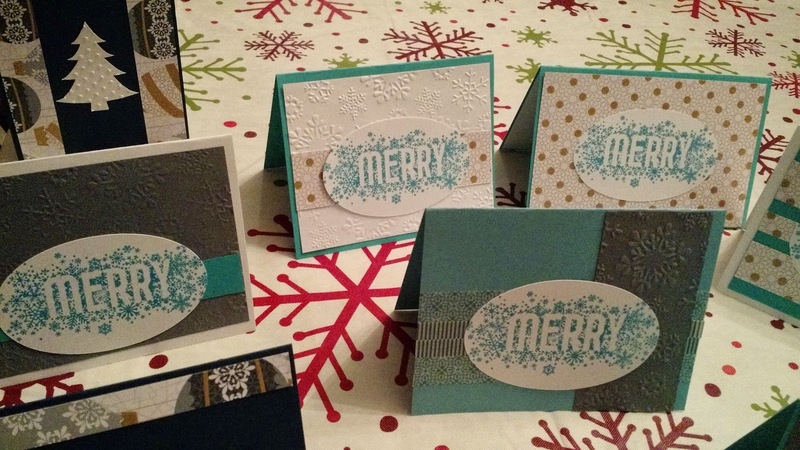 Lisa is Busy Nerding: Christmas Cards! 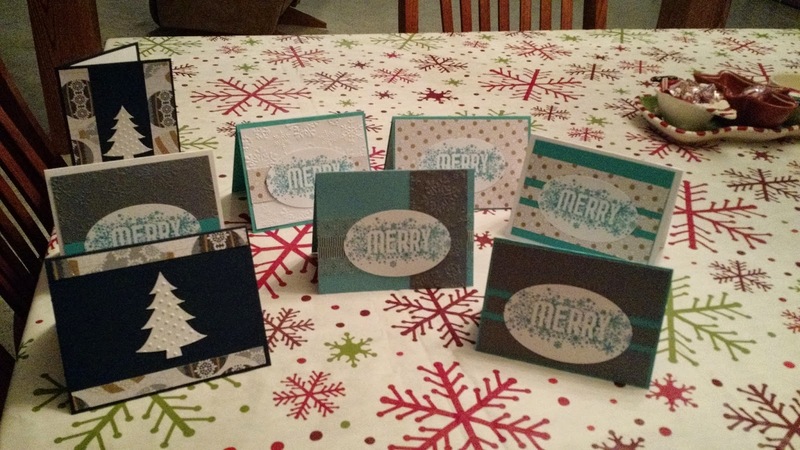 I'm just a BIT late in posting this, but I wanted to share a variety of the Christmas cards I made this year! Yes, I made all of my Christmas cards. No, I didn't think it would zap so much time making almost 50 homemade UNIQUE Christmas cards. Yes, I am a noob. No, I won't make the same mistakes I did last year. Yes, I WILL DO IT AGAIN NEXT YEAR because it's still super duper fun! Come on! On to the cards! Can you tell I kinda had a blue theme going on? Anyway, I was VERY happy with the navy, white, gold combo I had going. BUT I was also really excited to use a new stamp that I got so hence all of the "Merry" cards. In hindsight, I should have made at least 20 of those navy cards. 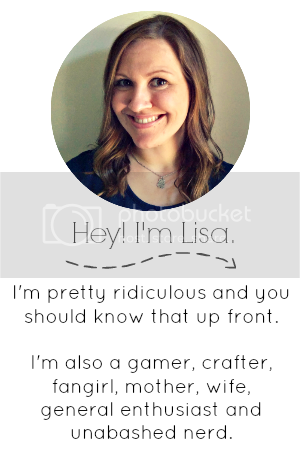 Here's what it took! A Festive Holiday Paper Pack from Michael's that I cannot for the life of me find a link to. 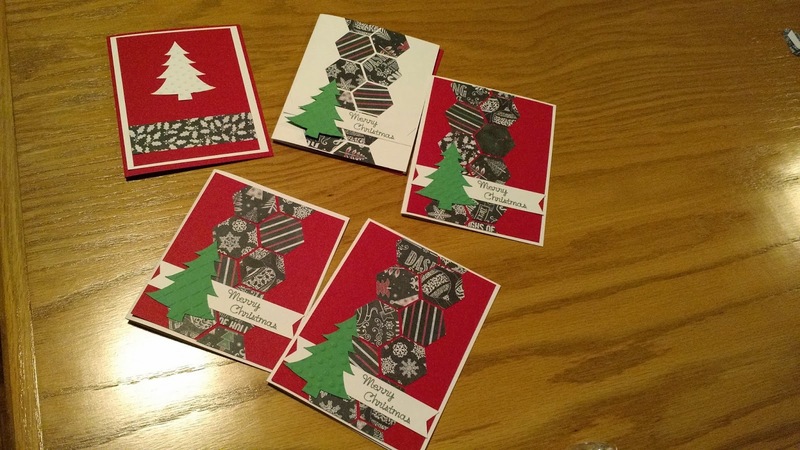 I used my Cricut Explore to crank out a few Christmas trees. Then I ran those through my embosser for a little bit of texture on the card. Then a nice slice of the gold/navy Festive Paper for the top and bottom and voila! I love the simple, classic look of those so much. Don't be surprised to get one of those from me next year because I am very sure they will be making a return visit. Like I said, I was VERY excited to bust out a new stamp! My mother-in-law ordered some Stampin' Up for me and I was itching to get it going! I, again, used my Cricut Explore to cut out those gorgeous little ovals to stamp on. The first set of ovals was a bit too big, but they ended up making great gift tags! After that, you can see I pretty much just winged it with composition and patterns and embossing and all of that. I LOVED making tons of variations with this one! So I'm noticing my theme for why I made the cards I did was because I had things I wanted to use! I didn't stop to think how easy it would be to mass produce these cards. Later renditions of this card resulted in me adjusting the hexagon lines farther to the right of the card, which I liked a bit better. And of course, I had to throw in one more of the simple white on colored cardstock (top left) which was just making me so happy this year! Yay! Please let me know when you do! Thanks! Yes, I need to start my list too! These are GORGEOUS! I love homemade Christmas cards. It's nice to get cards in the first place but it's even nicer when you know the person has put a lot of time into making them look nice. Oh thank you so much! I had a blast!